This house saves over 100,000 litres of mains water per year through the use of water-efficient appliances and collected rainwater. 5500 litre tank stored under the decking outside. Tank water is used for flushing the toilet and watering the garden. 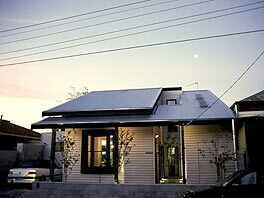 New architect-designed house in medium density location.